He is...not from this world... ...it is evening here, I am not at home but at an extremely boring conference...the planet is up, my battery is dying, and I will have one shot at watching hope and legacy. Happy H&L day everyone!! thank you! I was thinking about nhk 2015....I will try and find it😊. Thank you! Do you know which competition this was or even have a link? So great you remember it as well! Thank you so much for this timeline!!! I can remember a press conference from this time where Boyang said something like“ I like jumping quads“ and Yuzuru listened and made a remark on the lines that skating without quads is figure skating as well, and something might be lost with the pressure for quads. I am sorry I cannot quote correctly and do not remember the occasion of the press conference, but to me it was this moment: Boyang challenged, and Yuzuru thought about responding. And I remember being afraid at this time: omg, there is this Boyang and he talks about quads as something fun and easy and no problem for him— what will Yuzuru be able to hold against it? It was a highly charged scene there and it is perfectly understandably to me that Yuzuru references Boyangs jumps often. Yes, these were exciting times— and the name Nathan Chen was unknown to me then, as I do not follow juniors. I love this picture! This is communication between Yuzuru, Briand and Pooh, all three, on the way to write history! Oh dear. Coming home from work and reading about the ankle and the guardian article—the only thing I can do is reading and liking posts, and I feel kind of helpless. But I want to write some support here as well: no one, ever, will take away Hanyu Yuzurus bliss, soul, art and achievements. The articles we read today will read to posterity as helpless efforts to scratch on a momument, I am quite sure. I am writing now tired and on rambling mode, sorry, but you know what comes to my mind just this second? Ancient Egypt art. It was a childhood dream of mine to go there for the art, and in 2011 I fulfilled my dream and went to Egypt. Now, this art is old, thousands of years old, and many centuries, adventurers, tourists, thieves and explorers chipped away on it, and it still stands and sheds its mystery! The ancient Egyptians sometimes called their pharaos the „ indestructibles“. 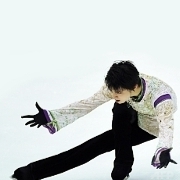 I think that Egyptian art is indestructable as will be the legacy of Hanyu Yuzuru. These are longterm— thoughts that spring up — in the present, I wish him good treatment, fire and power to smash his rivals next season!! You are right😊. I have to go to bed soon, but I will not forget it, put it there tomorrow. Thank you. You know, it WAS exciting!! I am so very thankful for the english subtitles! I feel this is an important interview. I can understand his motivation and mindset a little bit better now ( and yes, writing this, coming home from work I get the impression that it is one of my aspirations during the last years: understanding Hanyu Yuzuru from far, far away😅😅). As I had to turn away and close my eyes during Nathans free skate when it happened, this was my first time I saw his jumps in Saitama. So now. 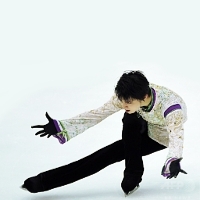 I dont mean no disrespect, I became to make a difference between Nathan the fair sportsman and his media image wich I hate: but is it me ore IS Yuzuru jumping more elegantly? And I am not talking about technical merits here, but about aestetics — Yuzurus jumps, they take my breath away, Nathans dont. Is it the costume? The height? It doesnt matter to me, but it is my deeply felt conviction, speaking as a laywoman in regards to figure skating: I simply love Yuzuru jumping😊😊😊😊😊😊😊.